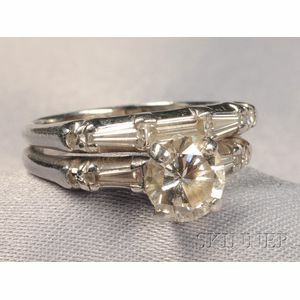 Platinum and Diamond Solitaire, prong-set with a full-cut diamond weighing approx. 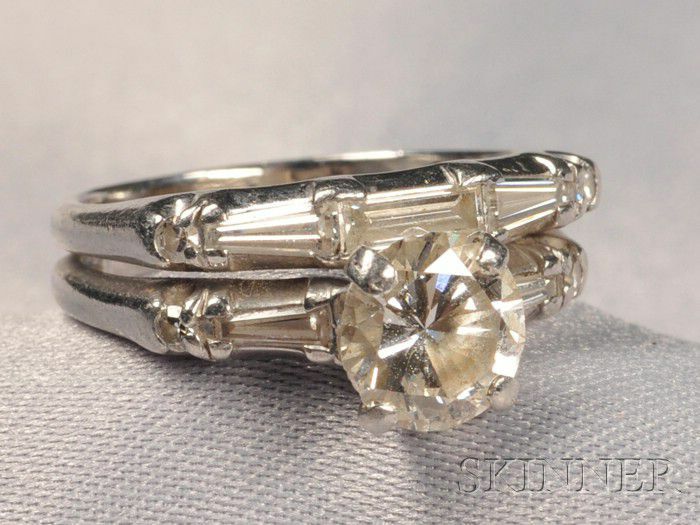 1.25 cts., tapered baguette shoulders, fused to a platinum and tapered baguette diamond guard ring, size 6 1/2. Girdle chip, rings are fused together need slight alignment, evidence of repair at base of shanks.